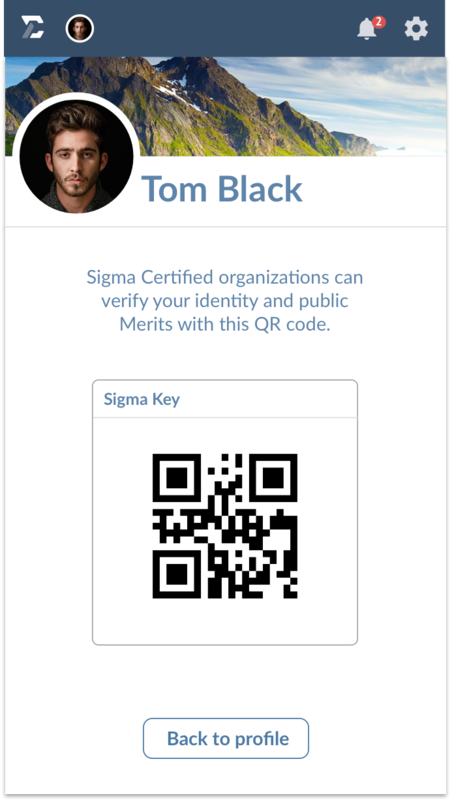 Organizations use Sigma to send digital Merits to people to verify their accomplishments. 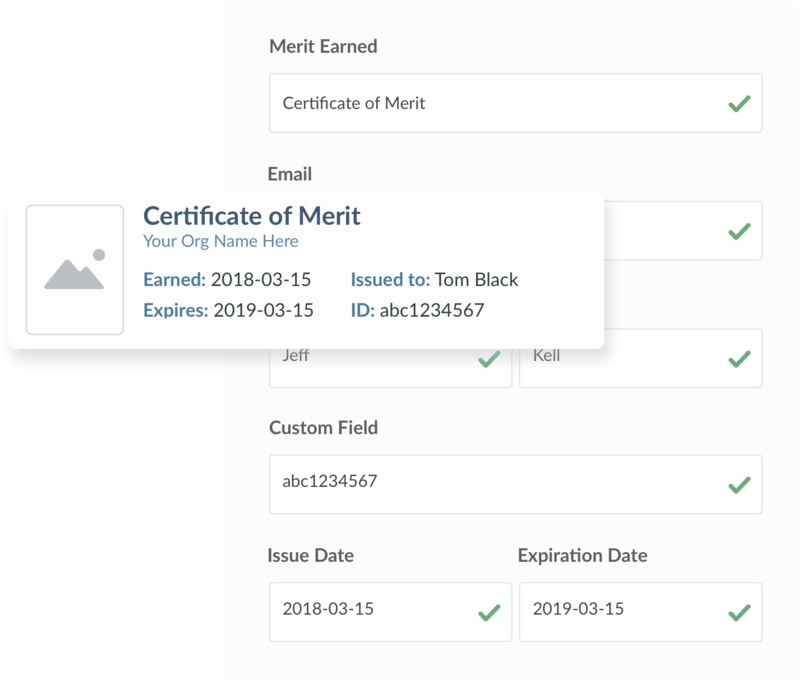 Create custom Merit Templates to support any credential, license, trophy, or achievement you want to send on Sigma. Merit Templates are saved and editable, so you can edit and revise them over time. 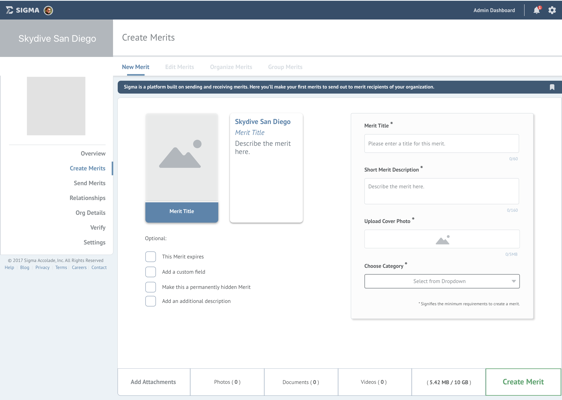 Use the Admin Dashboard or the Sigma API to send Merits to your members, customers, or users. 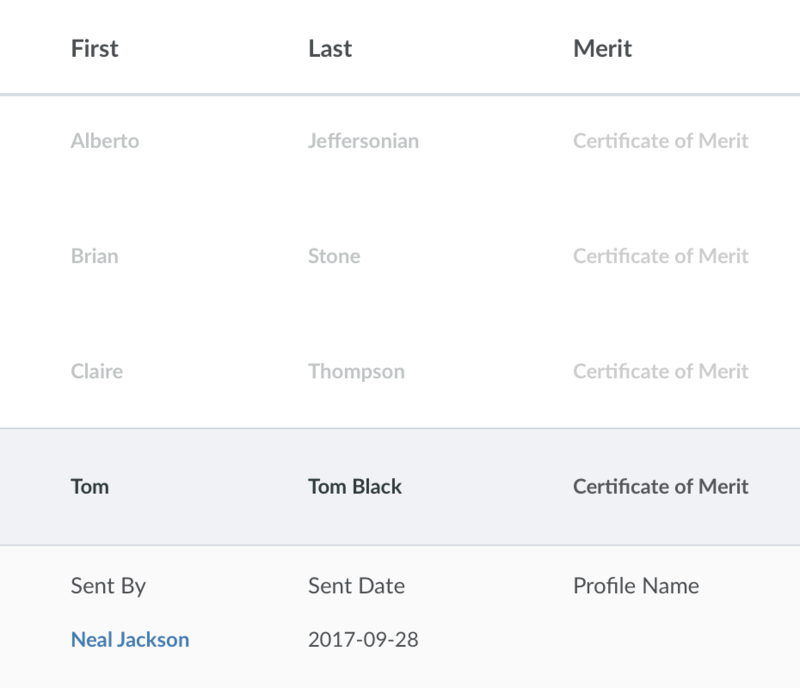 Merits can be sent to anyone with an email address, even if they don’t have a Sigma profile yet. 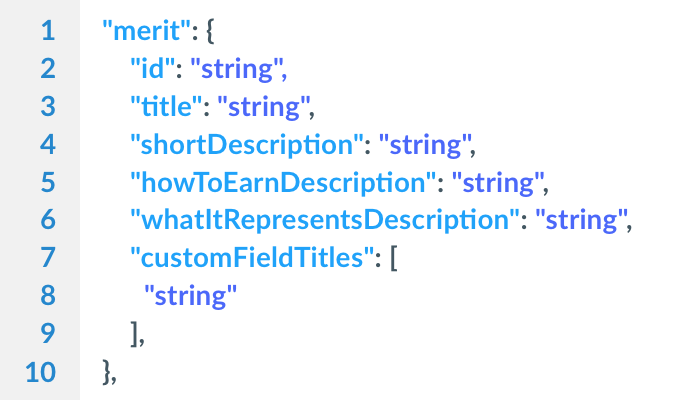 Merits you send will appear on Sigma profiles on the web, in our mobile apps, and via the Sigma API. 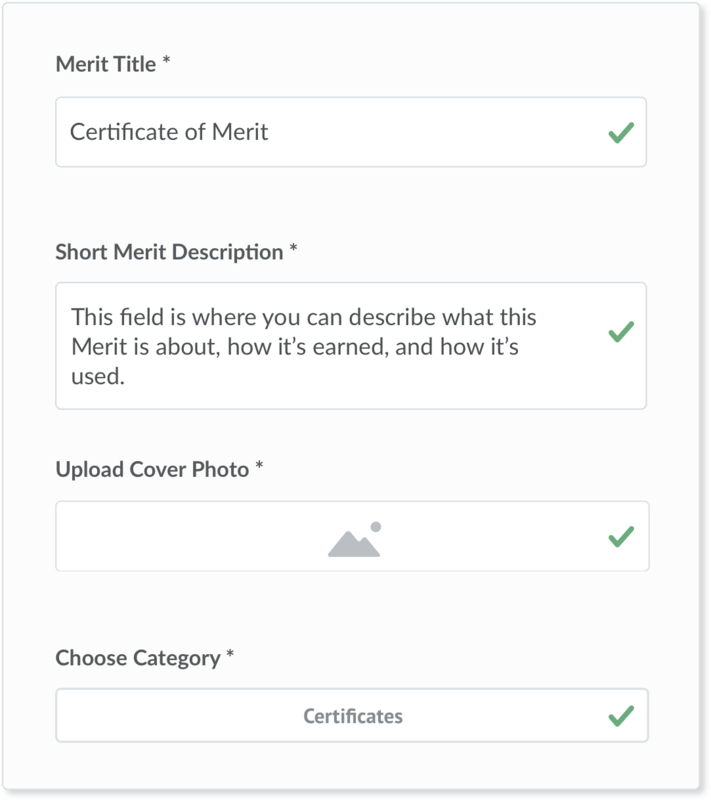 If a Merit's recipient already has a Sigma profile, they can show their new Merit alongside their other Merits. If they don't have a profile yet, they will be invited to claim their profile. Since only verified, trustworthy organizations are allowed to send Merits on Sigma, those Merits are trusted by other organizations in the world. 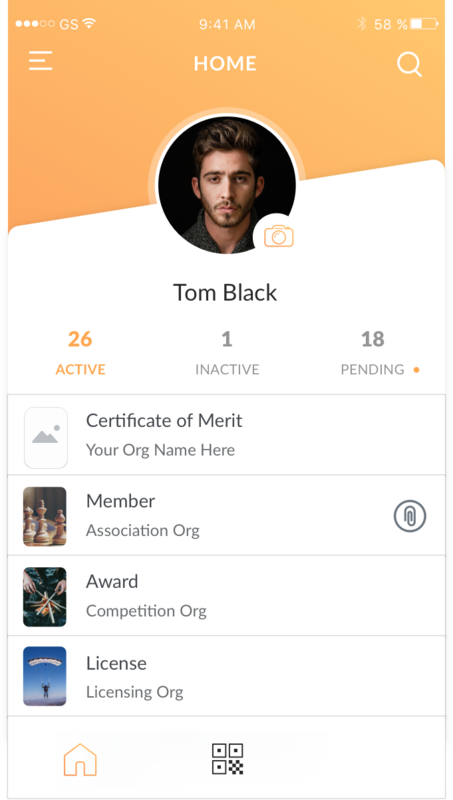 Organizations can verify users have earned Merits by scanning their Sigma Keys. 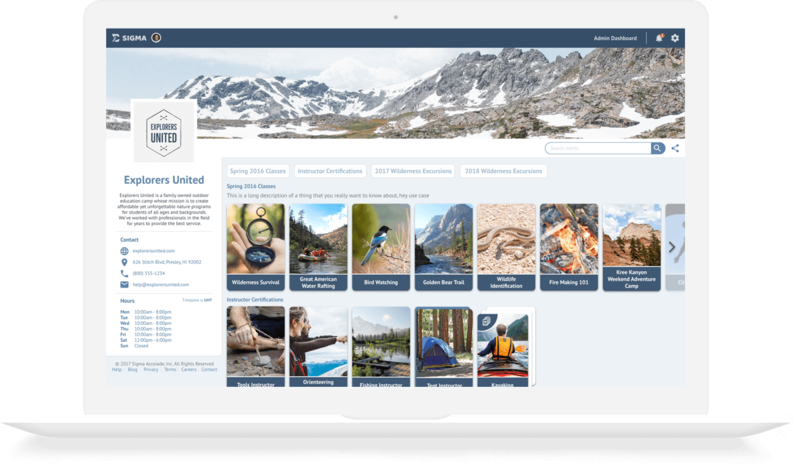 Manage the Merits you send to keep them up-to-date and control the information users can share. Merits can be instantly edited, renewed, suspended, or revoked. You can manage and verify Merits via our Admin Dashboard in your favorite browser or integrate with your existing solutions using our API. Your Admin Dashboard has the tools necessary to manage and verify Merits from within Sigma. Use the Sigma API to manage and verify Merits by automatically connecting to your existing software.